Henry of Trastamara (1334-1379) had this chapel built along with a crypt for his father and grandfather. 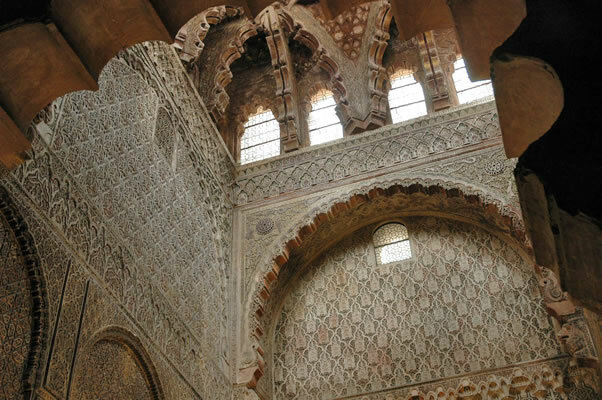 Today it is closed, but part of the magnificent mudejar plaster work on the walls and dome is visible from outside. The decoration is comparable to that which appears 100 years later in the Alhambra and other Granada monuments. In the 17th century an image of Saint Fernando was placed on the altar, giving it its name. Fernando IV and Alfonso XI were both buried in the crypt, however, they were transferred to San Hipolito church in 1736 in accordance with Alfonso XI's wishes.